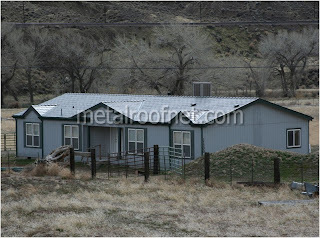 Metal roofing comes in many materials and profiles. From steel shakes to titanium-zinc diamonds to copper panels, this blog covers it all, plus offers answers to all those burning roofing questions. This discussion needed another post! Our re-roofing booklet explores the topic of metal roofs versus composition shingles at length. And that's because it's one of the most common questions we hear and also because metal roofs are superior in almost every way, so it takes a while to go through all of the benefits! "Warranties are the most confusing aspect of the roofing material study. Many homeowners make the mistake of concluding that the length of the manufacturer’s product defect warranty is the same as the life expectancy of the product covered. This is absolutely not the case (see photos of “40 Year” and “50 Year” roof materials after less than 20 years of exposure, pp. 14-15). 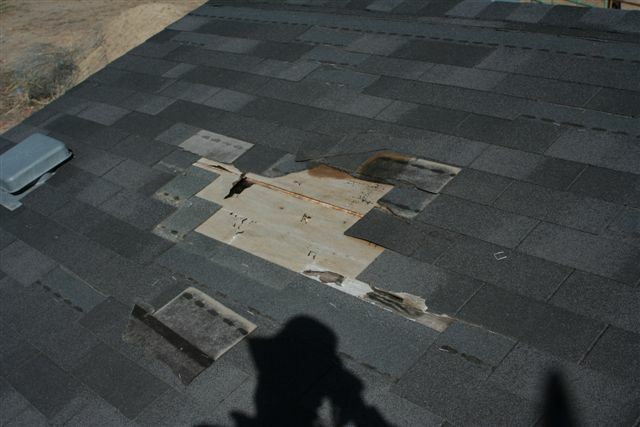 There is little, if any, connection between the warranty period and the lifespan of most roof materials. In the case of asphalt shingles, manufacturers currently refer to their various models by their warranty period. Until about 20 years ago, asphalt shingles were classified by weight. The purchaser knew that the heavier a shingle was the longer they could expect it to last. That is no longer the case. Technical changes in the manufacturing processes of asphalt shingles in the last 25 years have led manufacturers in a new direction. They’re now reluctant to publish the weights of their products in their sales literature and have replaced the weight designation with the length of the warranty period instead. Asphalt shingles that used to be classified as heavy, heavier, heaviest, (good, better, best) are now classified as “30 Year,” “40 Year” and “50 Year” shingles. This serves to distract builders and their customers from the technical details of the shingles construction. It implies that the manufacturer is promising many, many years of trouble-free service. This simply is not true, and interestingly enough, recently, almost all the asphalt shingle manufacturers raised the length of their warranty periods on most of their products, while at the same time making no changes to the composition of the shingles themselves. Evidence is everywhere that these products will not last." Interested in learning more? Our re-roofing booklet is filled with relevant and valuable information just like these and covers other popular roofing materials too. Learn the ins and outs of the re-roofing industry before you buy your next roof - download our FREE re-roofing booklet today! Metal roofs are lighter and stronger. Metal roofs are made of a higher percentage of recycled material and can actually be recycled again if the house was ever torn down, while asphalt shingles are made from petroleum products and are rarely, if ever, considered for recycling. The vast majority of torn-off comp shingles end up as toxic waste in a landfill. Metal roofs come in more shapes, colors and configurations than any asphalt shingle, which come as just that - shingles. 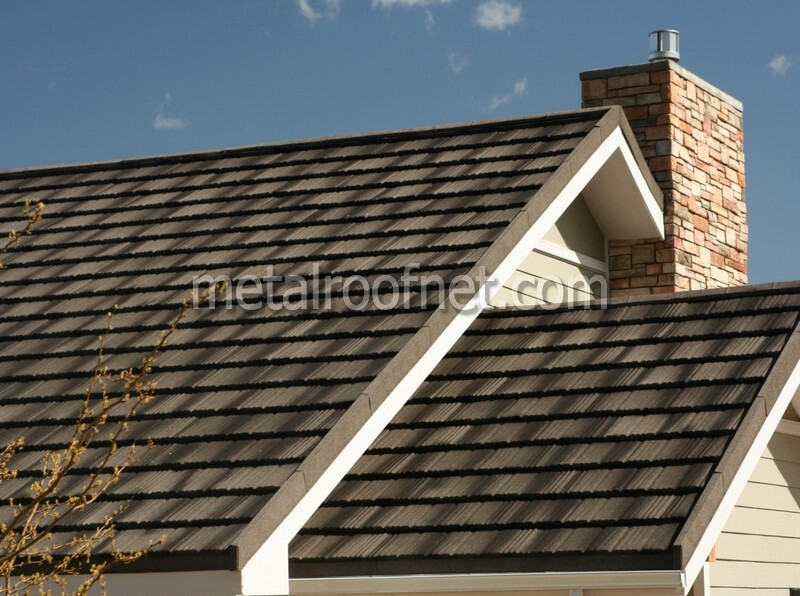 Metal can be long vertical panels, horizontal panels, shingles, shakes, diamond shingles, tiles and more. Metal roofs don't decay in the sun like asphalt shingles do, so they can typically outlast asphalt roofs by decades. Metal roofs are much better at staying on in high winds precisely because they don't decay in the sun and so they retain their as-new performance usually their entire light. Metal roofs can offer a big selection of reflective finishes and their vented roof assembly makes them more energy efficient. On top of these obvious features, metal roofs look better, remain incombustible and are often the lowest maintenance option available to anyone considering purchasing a new roof. The difference in price, which can range anywhere from minor to considerable, is more than compensated by the improved quality and performance. For anyone planning on staying in their home long-term, it's really a no-brainer. Want to know more? Read about the benefits of metal roofing here, or download our FREE re-roofing booklet for an extensive discussion of comp shingles and other popular roofing materials, plus a pricing formula, installer checklist and more. Q: We’re going to need a new roof soon, but most of the roofs I’m being shown are made from petroleum products. We'd like to re-roof with something ecologically responsible, but we’re still budget conscious. 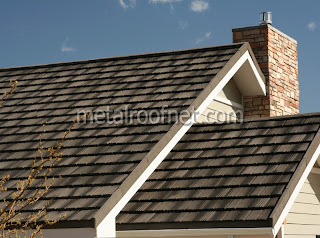 What re-roof material options do we have? Another bonus? Many metal roofs can be installed right over your existing roof (depending on the material), which reduces tear-off costs and waste that would end up in a landfill. Many of our metal roof materials, including finished steel and finished aluminum shakes and panels, are available with Energy Star certified finishes, which offer additional energy efficiency. And all of our metal roofing offer assemblies that dramatically reduce the amount of heat accumulated in an attic or ceiling area - another highly energy-efficient trait. And because your new metal roof system will likely last as long as your home with little or no maintenace, the higher up-front costs of a metal roof pays off in the long run. Plus, we're offering great spring specials right now on select metal roof systems. If you're planning on staying in your home for the duration and it's time to consider a new roof, stop the re-roofing cycle once and for all with a new metal roof - and enjoy the satisfaction of being eco-friendly at the same time! Find us here. 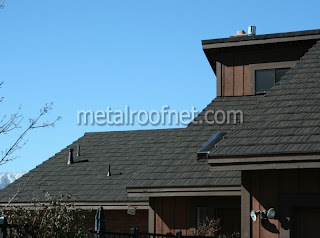 Check out this interesting little article about lowering your utility bills with a new metal roof. And if you're ready to re-roof, and want the extra perk of upgrading to a metal roof to lower utility bills, call us or visit us online today for a free estimate! Here's an article excerpt - and yes, if you're wondering, we've got painted aluminum roofing and at a great price right now! "Painted aluminum roofing is particularly energy efficient because of the heat-blocking low-emissivity natural aluminum underside surface." 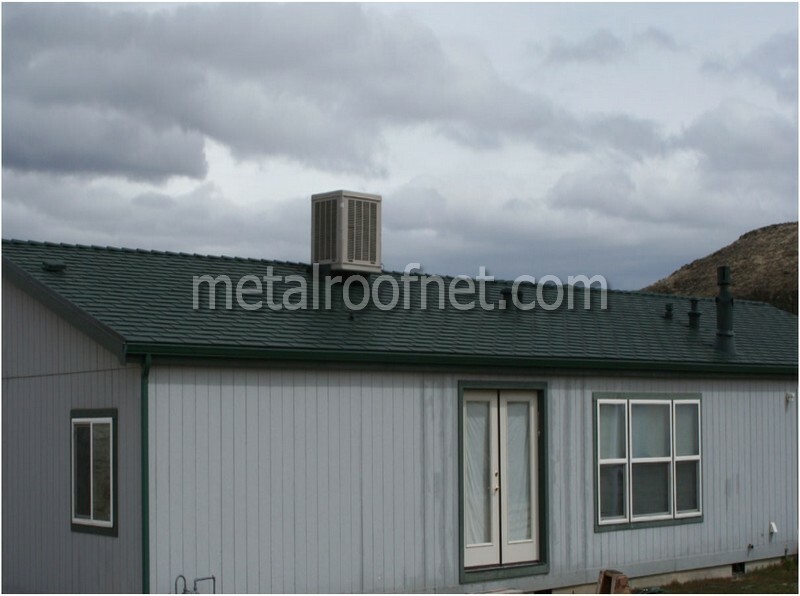 "All in all, there are many advantages, and very little downside, to installing metal roofing on a home you plan to stay in for awhile. Your roof is truly your first line of defense against the elements and outrageous utility bills. So why settle for less than the very best protection and performance that money can buy?" Considering a new roof? Want the longevity and performance of a metal roof? 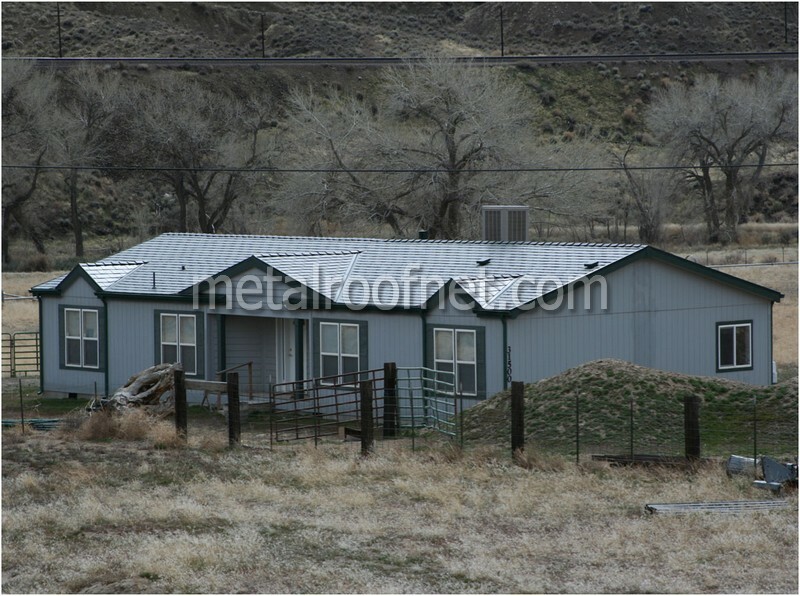 Wondering how in the world to price that new metal roof? Well, we can help. Check out this interesting ezine article written by our very own Chris Testa on exactly that topic. The short answer is probably somewhere between $5,000 and $100,000. The long answer? That depends on the material, the profile, the size, complexity and location of the job, the type of installer you want, the kind of permits your city or county requires and a few other factors too. We offer a handy formula in our re-roofing booklet - a comprehensive 50-page guide that no homeowner considering a new roof should go without - that's a start in the right direction. Get your free copy on our homepage. Or give us a call and we can throw some numbers your way. In a nutshell: buy the best roof you can afford. And then find an installer you trust, with good references, to get the job done right. It's easy to find people who claim to be experts in a field, and roofing is no exception. That means it's easy to find lots of opinions on what you should and shouldn't do. And the downside to speaking to a huge number of people for the average re-roof project is that you can get such a diversity of opinion, more confusion than clarification emerges. But keep this in mind - it's especially true that some of the worst roofers are among the loudest, and some of the best are the least vocal. It's a funny trade because being a good roofer has little or nothing to do with being a good promoter. Very often the latter can substitute for the former when it comes to getting business, and the poor client never makes the discovery until long after they've spent their money and exhausted their recourse. So what's a re-roof consumer to do? Invariably, it's the details that make the difference between a good roof installation and a bad one. Specifying and installing the right details the right way is the absolute best way of assuring the fewest possible problems down the road. A good roof material installed by an experienced roofer (who isn't rushed) with the right detail execution is the best possible choice. Unfortunately, a lot of roofers skimp on the details to bring down their price and "get the job" and while the initial appearance is as expected, nature finds the weaknesses in a poor job rather quickly. Every time. For any re-roof job, find someone you trust, take his advice, and then get out of his way and let him execute the project the way he wants so he can stand behind it and you can have the confidence of knowing you have an expert in your corner. And by all means, do your homework beforehand - our free 50-page re-roofing booklet is a great starting point, available for download at the bottom of our homepage. Metal Roof Network on YouTube! Ever wonder just how exactly a metal roof is installed? Wonder no more, because we're posting videos showing it all! Check out a stone-coated steel tile installation here and installation of our beautiful rusty steel diamonds here. There are other videos that you can access from either link, and be sure to subscribe to MetalRoofNet on YouTube for notifications of new videos too! Metal Roof Network in now on YouTube, and it's definitely worth a look. This is the nearly finished custom home of a client in northern California wine country in between Santa Rosa and St. Helena. 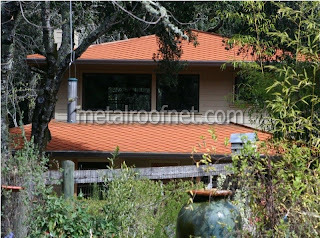 They chose the Metal Roof Network Patagonia Diamond Roof shingle in Natural Steel. After just one winter, it's developing a very beautiful red rust patina. The client was sure to install a good gutter system as this type of roof allows a red rust run-off that can stain masonry and other porous materials nearby. But other than that, there is next to nothing that can go wrong with this type of roof and it will have a lifespan of many decades. This roof material was an excellent choice on this roof configuration as the lack of valleys will mean very little opportunity for debris to accumulate on the roof. Accumulated leaves, branches, dirt, and anything else than can hold moisture will hurt the lifespan of this type of material, so a design like this one that drains very well is the perfect application. The setting is just like a postcard and the natural steel in our diamond pattern means a unique, unusual and rustic exterior that is just beautiful here. What a wildly successful application! 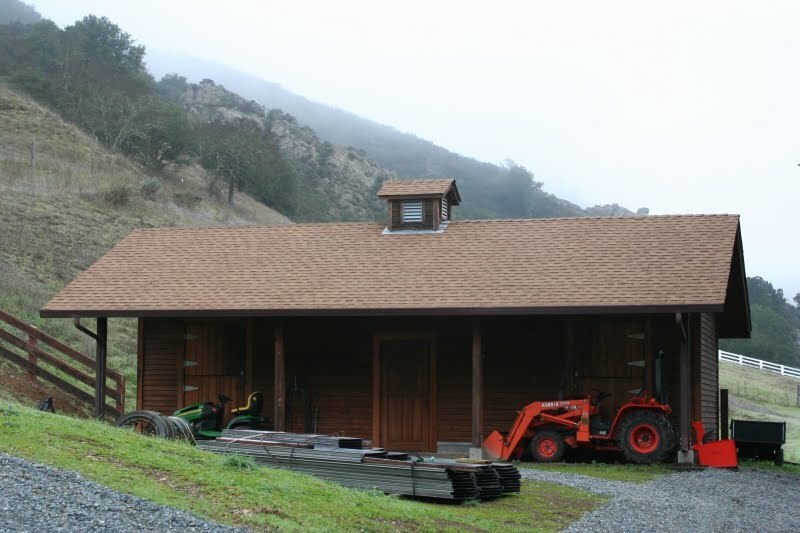 Our beautiful natural steel roofing on this California home is a project of which we're very proud. Like this? Check out more here. 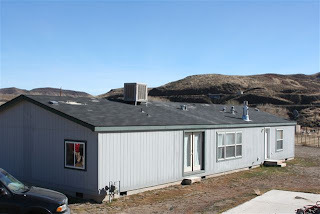 This country home in rural Nevada had a composition shingle roof that was just 10 years old, yet it was so brittle it was no longer able to stand up to even a moderate breeze. 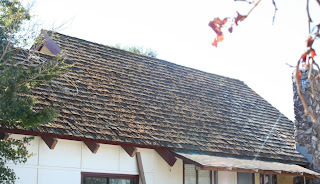 The owner wanted something lightweight, capable of going over his existing shingles without compromising his roof structure, and something that would keep the place looking like a "home" instead of a shed. He picked the Metal Roof Net metal shingle in finished steel and had his installer put them right over the old comp shingles. Now he has a permanent, beautiful upgrade to his home that won't degrade in the sun and will resist the most aggressive desert winds for decades. 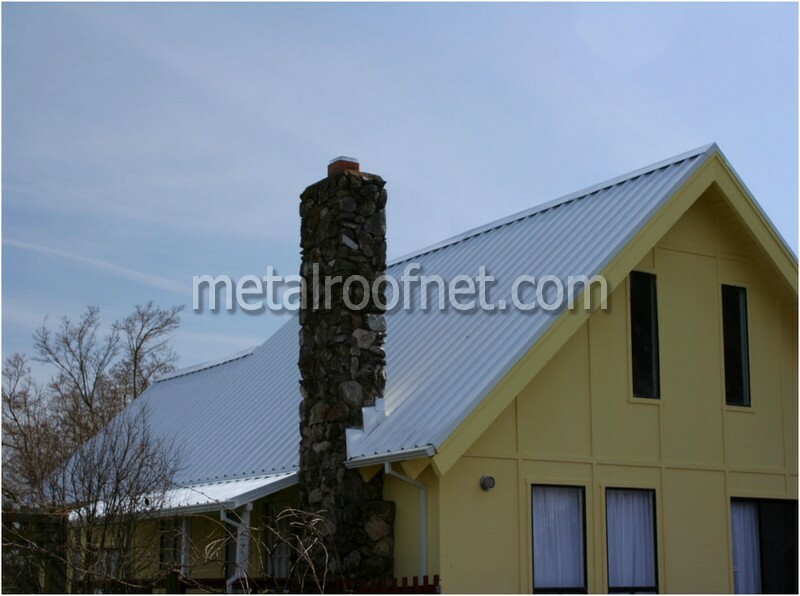 He spent more than he would have slapping down another asphalt composition roof, but this metal roof upgrade was a beautiful solution to the problem of disposable roofing materials. And now he'll never need to re-roof again. Like this? 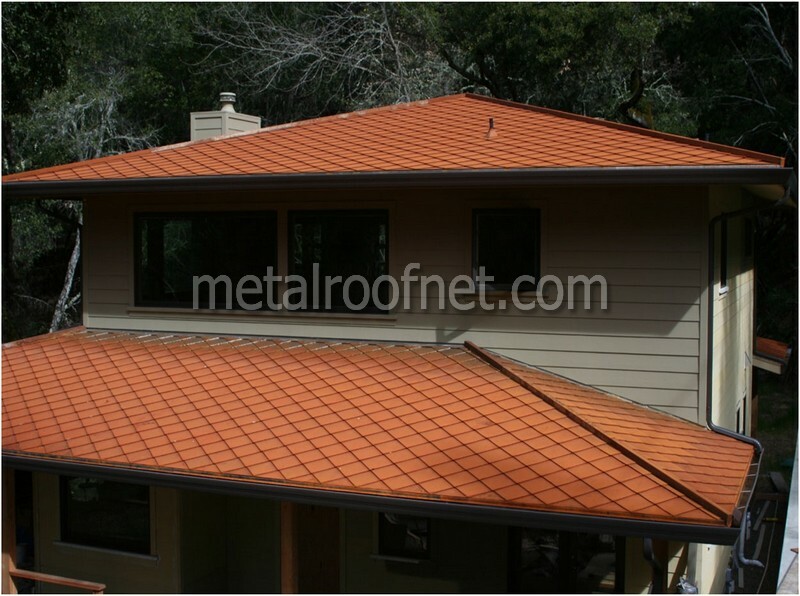 Visit us here and find out more about finished steel and metal roofing. If you need a new roof in Reno, Sparks, Gardnerville, Fernley, Lake Tahoe or just about anywhere in northern Nevada, you've got options. 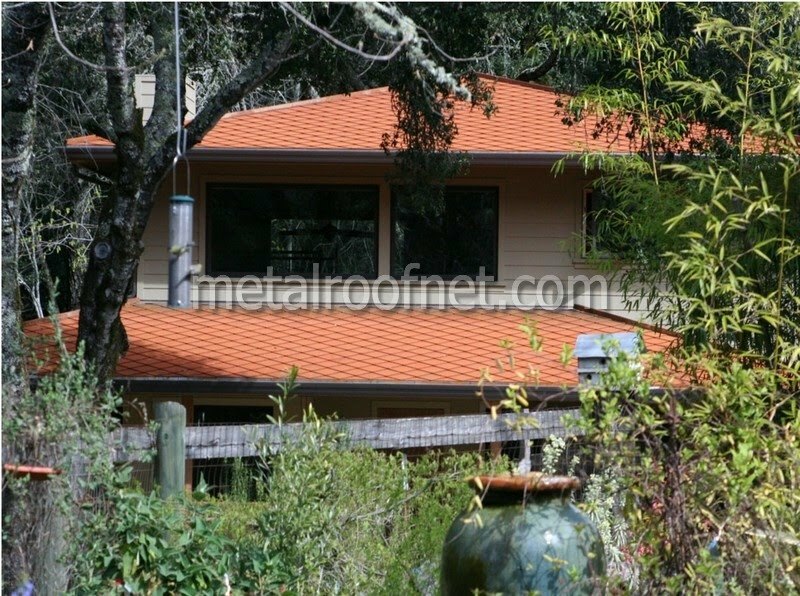 But we think a little research goes a long way, and researching Metal Roof Network will reveal a company with loads of experience, a great selection of quality products and a trusted network of professional installers. 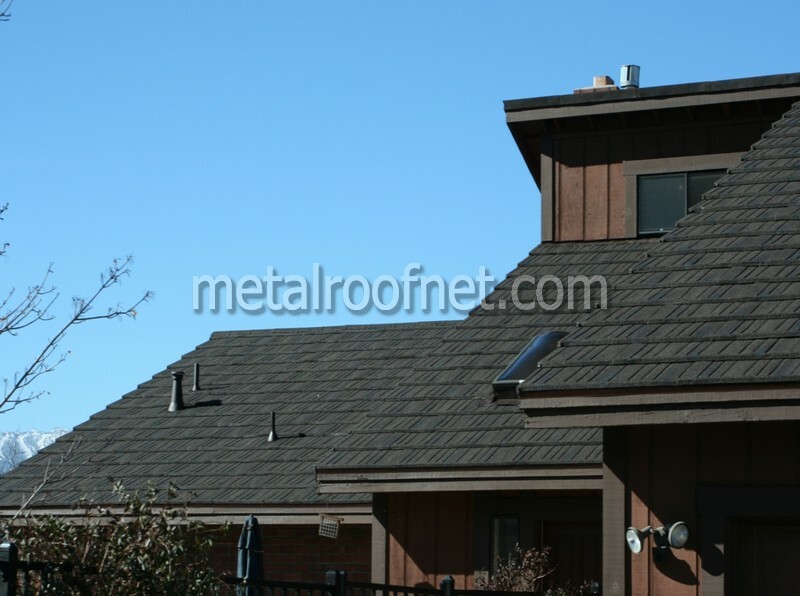 We're always happy to chat and we're proud to offer free estimates, so if you've got questions, please feel free to call us toll-free at 855-321-7663 or visit us at metalroofnet.com and fill out our contact form. If you're ready to upgrade to something like this - and never roof again! - we can't wait to hear from you. 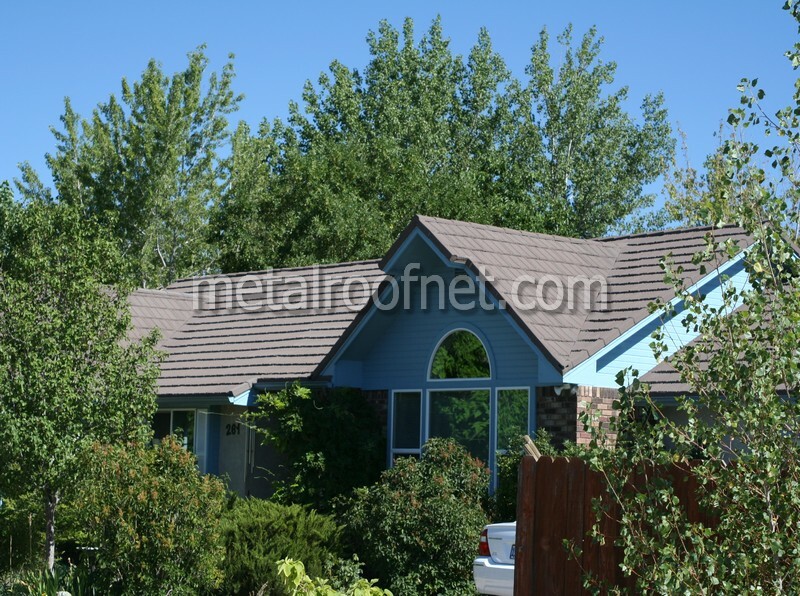 If you're ready to upgrade to a metal roof, and you happen to live in the Reno area, Metal Roof Network should be your first stop. In addition to our fine network of qualified installers, we've got great pricing, a range of materials and profiles, years of experience in the industry, and a refreshing perspective to boot! We're proud to offer free estimates, so give us a call today on our toll-free line - 855-321-ROOF - or check us out here. Looking for a blog about metal roofs? You just found it! The Metal Roof Network blog is bursting with pictures, customer stories, anecdotes, observations and more - and it's all centered on metal roofing. 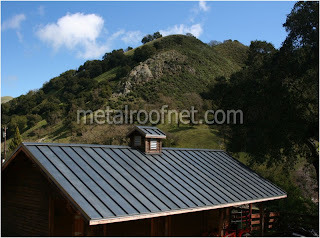 For homeowners considering the upgrade to metal roofing, architects, designers, LEED consultants or just folks interested in the industry, this is the metal roof blog to follow. And if you like this, check out our website! 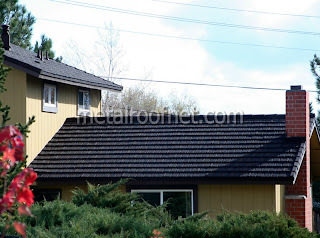 It can be quite difficult to get a new metal roof to look like an old metal roof with most of the materials on the market today. 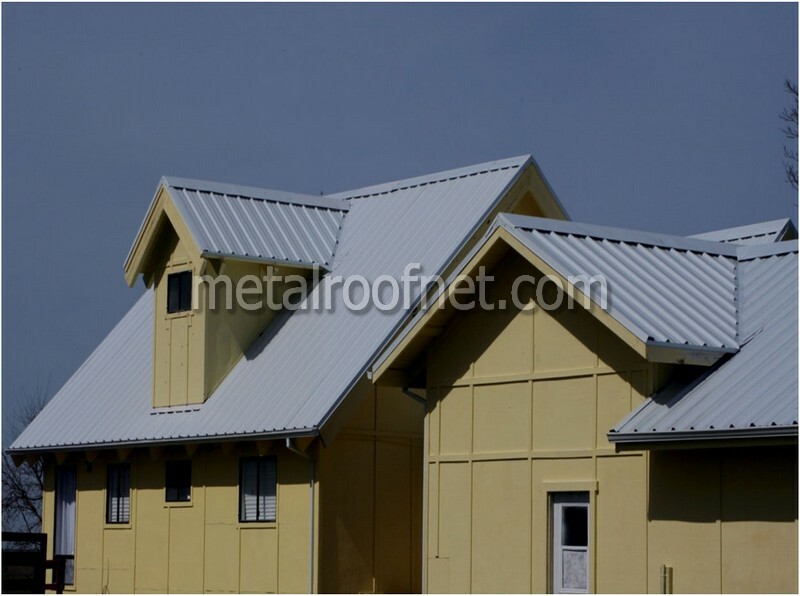 Every metal roof manufacturer expends great effort to make their material as absolutely consistent as possible and as corrosion resistant as modern metal production can create. For so many applications, these qualities are a high priority for end users. However, there is a certain class of project where these attributes are secondary to the objective. 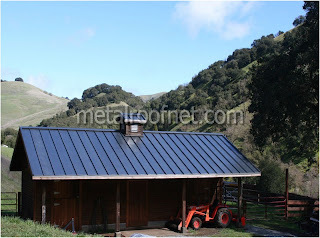 In the case of this re-roof with metal in the East Bay area of San Francisco, California, the owners were renovating the barn, stable and pump house on the property and wanted a metal standing seam roof. Along with the lines of a vertical panel roof material, they also wanted a rustic finish consistent with the old buildings. They were trying to avoid installing a new metal roof that would like too slick and shiny, but they weren't too anxious to compromise performance either. newly installed. Although it doesn't have a warranty because it is unfinished metal, in a dry climate like Northern California this material will have a life span measuring in the decades. Just down the street there are 40-year old farm buildings with less sophisticated galvanized steel roofs that have been doing the job for nearly 50 years. This one should outperform any of those as it has a much more advanced fastening system and superior metallurgy. 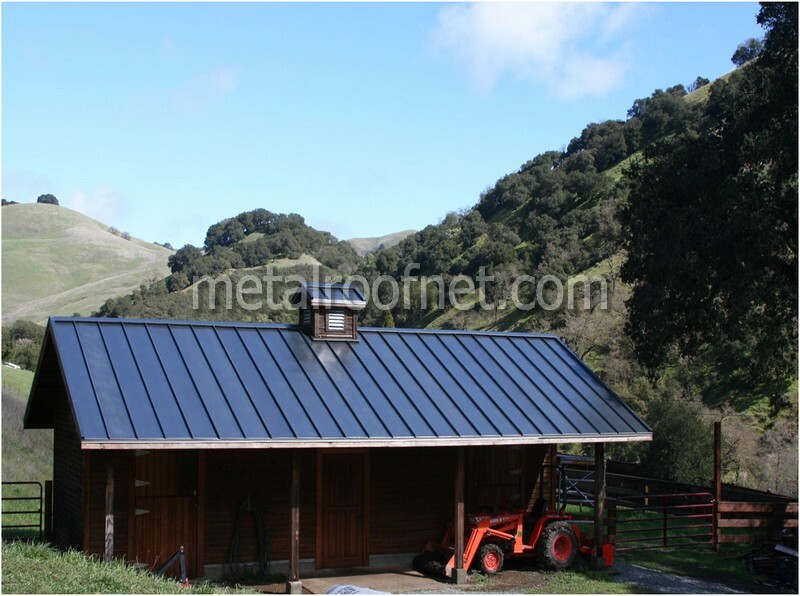 So, for a modern solution to the desire to "look old" without going to an exotic metal like copper or solid zinc, our "Old Barn Tin" standing seam roof is about a perfect a solution as can be had. And the price is right, too. Get more information about our standing seam roofing in "Old Barn Tin" here. A lot of people think of metal roofing as expensive, and certainly that can be the case. It's also about the best performance roof covering money can buy, so like everything else it's true that in the case of roofing materials you get what you pay for. 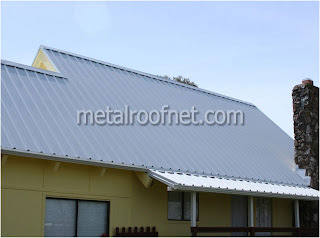 However there are projects like this one where some of the features of the best of the metal roof profiles just aren't required - or even desired. This client was seeking a metal roof for the sake of appearance and performance to replace the old wood shakes. But they wanted to keep the old farmhouse look and use a material that wouldn't look too sophisticated or slick. We have just what they needed - amazing coincidence or what? What the client choose was our value panel in finished steel. Our value panel has many of the features of our better standing seam panels, but is a lot less money. It's still very corrosion resistant Zincalume steel with and excellent color finish, but it doesn't have the intricate profile and details of the higher-end products. This "low tech" look was exactly what the client wanted - something that looked appropriate to an old, low tech farm house and garage. It worked a treat. The contractor and the client are happy, and the job looks great! What a huge upgrade over the old wood shakes...definitely an economical way to take advantage of the benefits of metal roofing. It's low priced metal roofing and it's truly transformed this lovely home in California. Take a look at our value panels here or check out all our materials and profiles here. 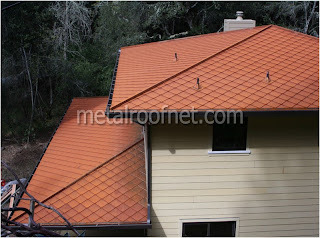 Interested in Copper Roofing? 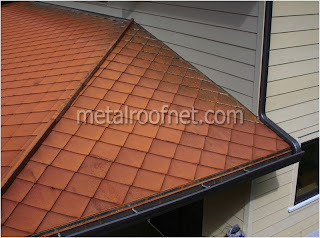 Check out our Copper Roof blog! No photo may be copied or used without the express written permission of the photographer and owner. If you're interested, contact us via our website.